Agates exist all over the world and are common in Idaho, Washington, Montana and Oregon. Agate is identical to quartz in terms of composition and physical properties. To identify rough agate, consider its translucence, size, weight and banding, and look for surface marks, irregular fractures and waxiness. Use a chisel and hammer to break open the stone. If you want smooth edges, take the stone to a jeweler who has a diamond saw, and ask him to slice it in half. Examine the stone for translucence. Agates come in a wide range of colors, including red, blue, white, orange, pink, brown, green, yellow, gray, purple and black. Some agates are multicolored. Whatever the color, most agates are translucent to some degree. 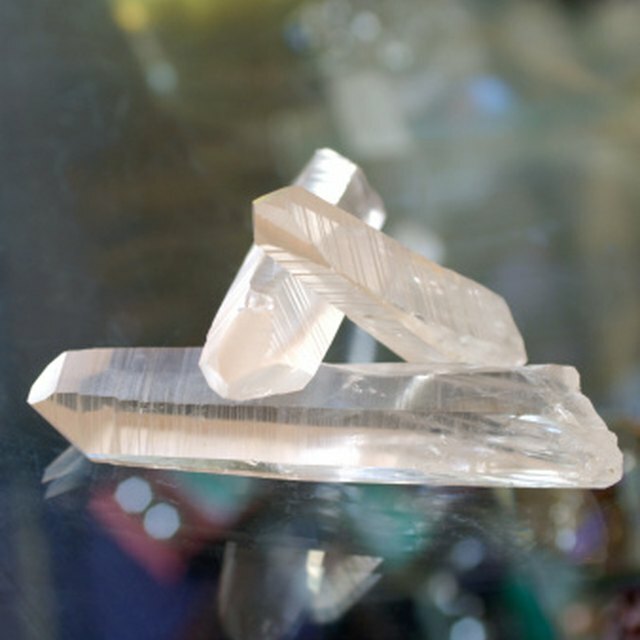 Use a flashlight to back-light the stone and spot any translucent edges. Many stones look like agates but aren't. 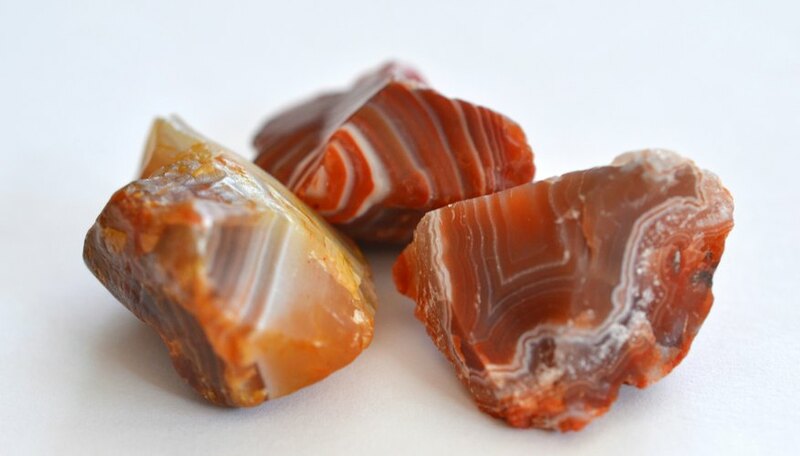 For example, jasper and flint are closely related to agate but are opaque, not translucent. Look for banding or layers of different colors that are approximately parallel to the sides of the cavity. Riband agate has bands of white alternating with black, brown or red straight lines in cross section. This is onyx. Concentric circular bands of different colors indicate ring or eye agate. Most agates have some sort of banding, but there are exceptions, such as moss agate. Moss agate has no banding but is still called agate because it has more than one color. Measure the diameter and weight of the stone. Typically, an agate is the size of a golf ball and feels heavier than it looks due to its density. Compare the stone to other stones. Use the diameter and weight of the stone together with your other observations to identify the type of agate. Inspect the surface of the stone for pit marks. Agates sometimes form in igneous rock and are surrounded by softer rock that erodes away, which can result in surface pitting. Slide your fingers into a crack in the stone or a part of the exterior that has worn away. If you feel waxiness, this is a sign of an agate. Look for irregular fractures, known as conchoidal fractures, which agates are prone to. The fractures may be curved with a wavelike pattern. Use the location of your stone to narrow down your agate type options. For example, a cross-section of a Lake Superior agate reveals thin concentric alternating bands inside, ranging from clear or white quartz to deep red jasper but may also include yellow, orange and violet. Natural Resources Research Institute: How Can I Identify an Agate? Gillespie, Claire. "How to Recognize Rough Agate." Sciencing, https://sciencing.com/recognize-rough-agate-5883402.html. 10 April 2018.